Whether you spend it inside or in the great outdoors, summer is a tricky season for keeping cool. Excessive heat can be very dangerous, especially for infants and young children. Check out these tips, tricks and activities for staying cool while still having fun in the summer heat. It's hard to believe that in just three short weeks kids will be heading back to school and summer vacation as we know it will be coming to a close. Where has time gone?! Despite the heat and humidity that has now decided to grace us with its presence at the tail end of summer, its important that we make the most of what time we have left before our normal routine kicks in again. Today, I'm teaming up with an amazing group of Ontario mommy bloggers to share our favourite ways to beat the summer heat with our little families, and make the most out of what's left of everyone's favourite season. 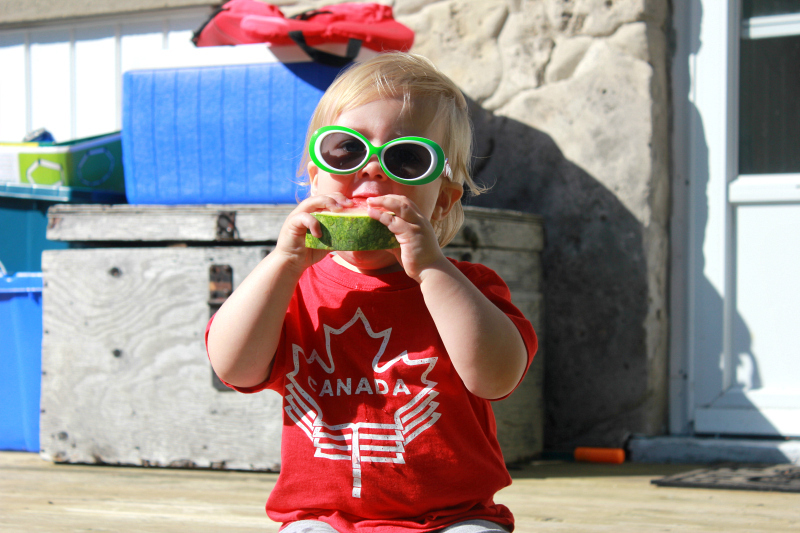 For this water-loving toddler of ours, most of the ways to keep cool involve just that, water! 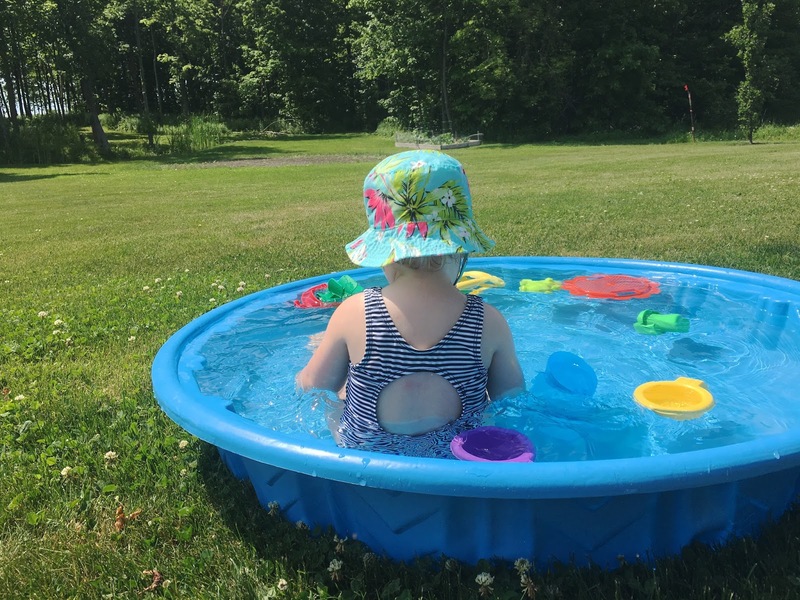 From the kiddie pool at the cottage, to the sprinkler in grandpa's backyard and even the lake at grandma and poppa's, Morley is not picky when it comes to where, when or how she plays in the water. Even the bath will do. 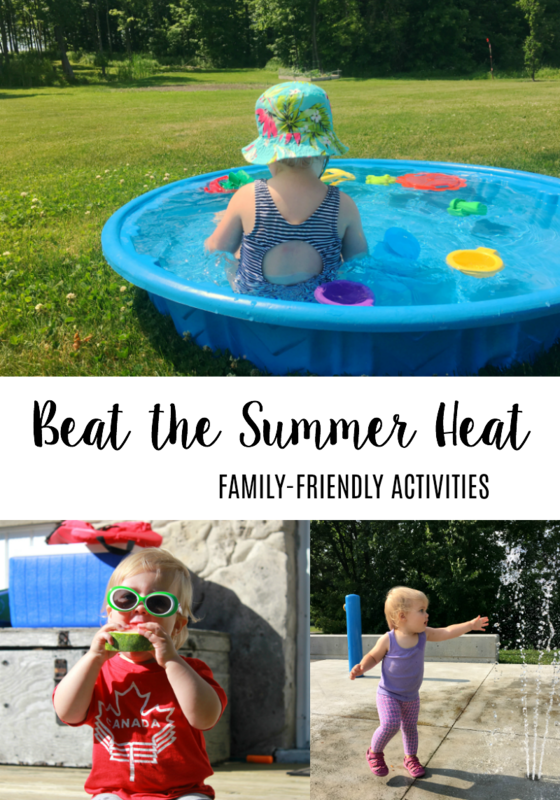 A refillable kiddie pool is one of our favourite ways to stay cool during the summer heat. Fill it up, toss in a random assortment of toys, throw up an umbrella and watch your water baby come to life. Bathing suits optional, of course. If you don't have the space for a kiddie pool, check out a local city pool or community centre near you for open swim times. *Remember, never leave young children unattended near the water. No backyard? No problem. The perfect alternative quick place for your children to enjoy the cool water on a hot and sunny day is at a local splash pad. Splash pads are unsupervised water play areas and are conveniently located in many parks and playgrounds. They often include engaging water features such as shower heads and spray jets that keep children laughing for hours. Splash pads, and even lawn sprinklers, are a beneficial form of outdoor play for your tot, helping develop their coordination as they run through, dodge and grab at the water and their problem solving skills as they need to learn how to turn the water on and what spray or water head it will come from next. 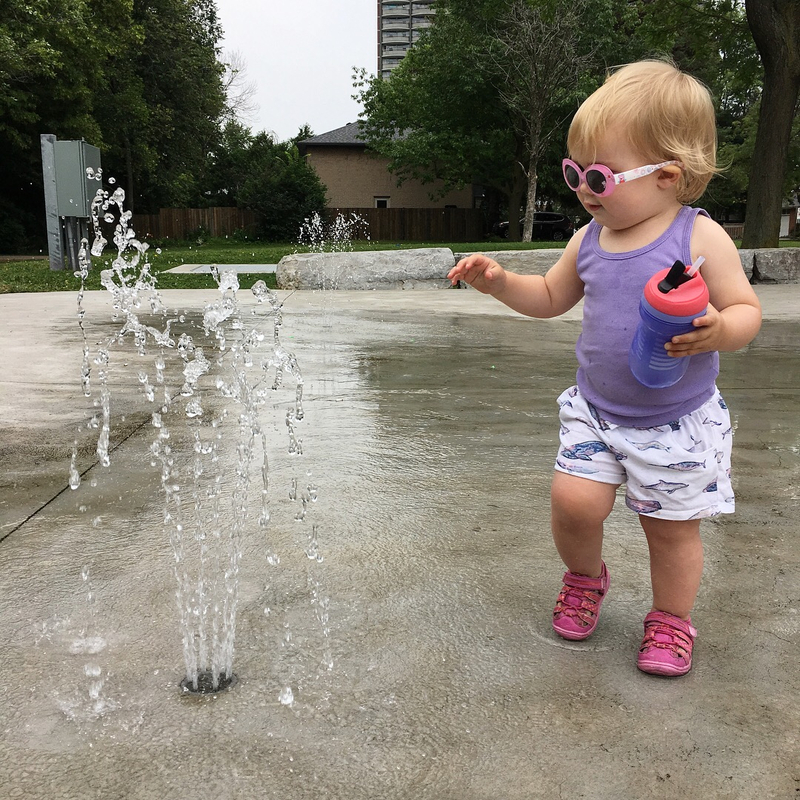 I don't know about your neck of the woods, but there are so many new and exciting splash and spray pads popping up in Toronto, including one just around the corner from our house! Ever since Morley figured out how to turn the water on, there's no stopping her (or getting her to leave at the end of our visit). Enjoy a tasty, cool treat in the shade. What's your go-to? Is it ice cream, homemade popsicles or watermelon? Morley's really not too picky, and is known to dabble in all three. I know, I know, staying indoors seems against what summer is all about. But sometimes when the mercury is rising, staying indoors is a much needed relief. And, who said you can't have fun indoors anyways?! Staying in doesn't mean staying home. Instead, visit your local library, science centre or aquarium for lots of fun and learning, in the air conditioning. 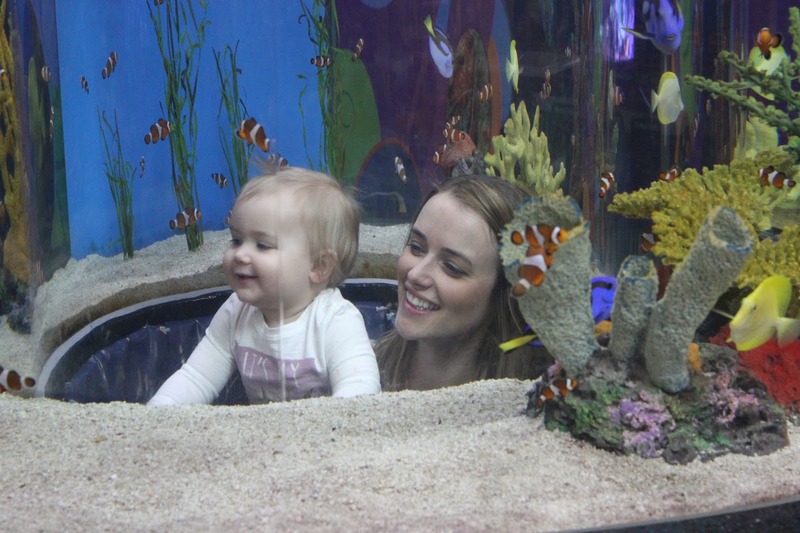 One of our favourite indoor spaces in Toronto to visit is Ripley's Aquarium of Canada. Don't forget to check out these other fabulous mamas and their tips, tricks and activities here: Emmett's ABCs, Anna Georgianna and Bird of Balance. How do you keep cool in the summer heat? I'd love to hear!